Here is a letter from Rose May Dance, published in the Autumn 2003 issue of Reclaiming Quarterly, encouraging members of Reclaiming to make the trip out to Texas. After Dandelion, Reclaiming Quarterly published a wonderful issue with a collection of impressions from many people who attended. You can access this issue at Weave and Spin. 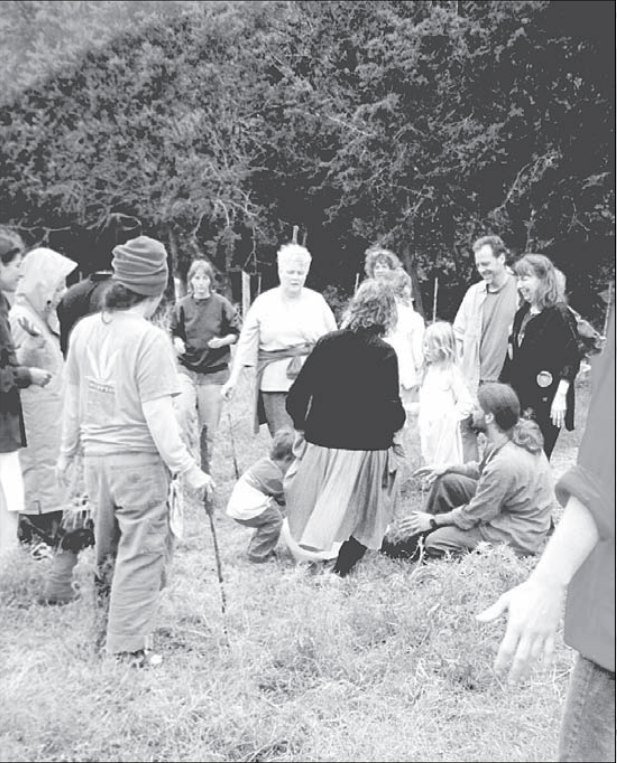 Photo from the first Dandelion Gathering in 2004. Thanks to Reclaiming Quarterly for permission to use photos. You can access the notes from the sessions that resulted in the formation of BIRCH at this link. Photo from the second Dandelion Gathering in 2006. Thanks to Reclaiming Quarterly for permission to use photos. 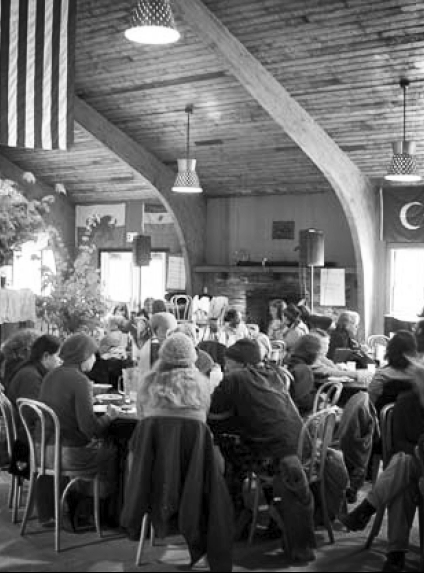 In 2008, the Dandelion Gathering met north of San Francisco for the third time. At this Dandelion attendees celebrated a handfasting, danced the Maypole, and took part in a Hecate devotional. We learn from Reclaiming Quarterly that this is where BIRCH’s first actual meeting took place. The notes from the BIRCH session at this Dandelion can be accessed here. For the fourth Dandelion Gathering, Reclaimer’s traveled to the Midwest and the Gathering was held at Diana’s Grove in Salem, Missouri. 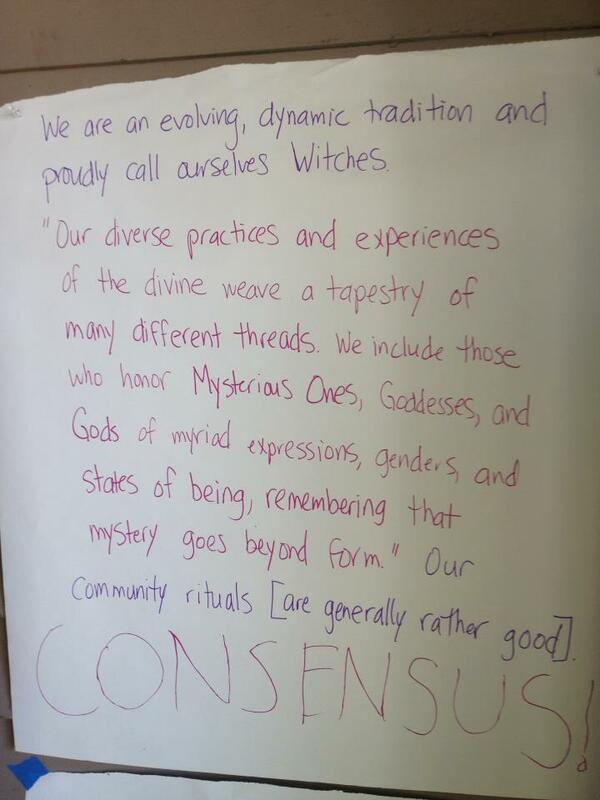 This Dandelion Gathering saw discussions around what makes a Reclaiming teacher, the creation of a new core class on community, how to support Conscientious Objectors, and the beginnings of the conversation around amending the Principles of Unity. Read the notes here. The most recent Dandelion Gathering was in 2012 in Portland, Oregon. At this event, the tradition took up the question of whether to amend the Principles of Unity for the first time since they were written in 1997. After much conversation, agreement was reached to update the POU to reflect the traditions commitment to gender inclusivity. You can read the notes from the BIRCH session in which this decision was made at this link. Abel Gomez, who attended this Dandelion, wrote an article for Patheos Pagan about this historical change to the Principles of Unity. To me, our ability to gather together and make decisions for the betterment of the larger community is an indication that we are growing as a tradition. Using consensus process to make decisions, especially when there are over a hundred people in a meeting and particularly when the issue is so sensitive, makes the fact that we are able to reach a unanimous agreement quite spectacular. I see the revised document as a new spell we are collectively weaving, one which will open the way for stronger inclusion and greater dialogue, leading us one step closer to the world we are so deeply yearning for. Do you have photos, memories, or other ephemera from past Dandelions that would be great to keep in a historical archive here on this website? Please send us scans or photos of this material and we will host them here so others can enjoy! Just email 2019Dandelion@gmail.com!